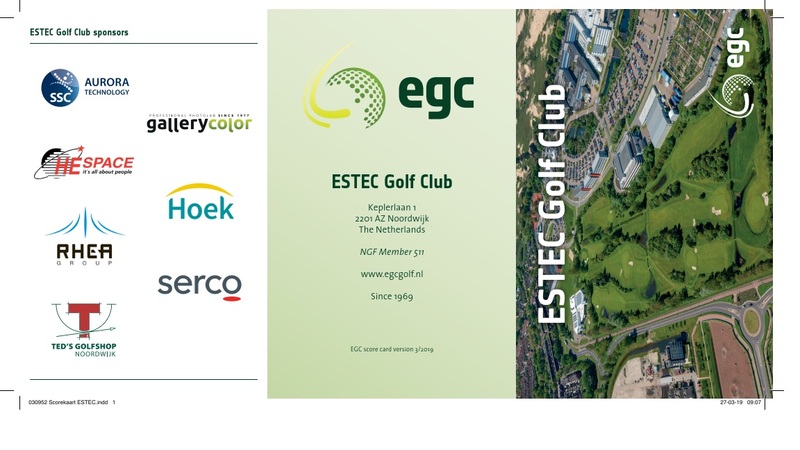 The ESTEC Golf Course is a 9-hole course with a length (over 18 holes) of 3230 metres (Yellow tees) and 2916 metres (Red tees). It has two par 4 holes, the other seven being par 3. There is quite a lot of water and raised “dune” areas which form significant obstacles. We welcome both beginners and experienced golfers at the EGC. Membership information can be found here. Playing on the course is open to all playing members, accompanied guests of playing members and during lessons by the club professional. Starting Wednesday 17/4 we will start with scheduled maintenance of the greens. The works are expected to last until Friday the latest. When the greenkeepers are working on a green that specific hole will be closed during the works. 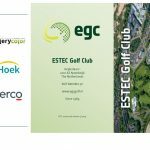 Per April 1st the new stroke index of the ESTEC Golf Course is applicable. Along with that is a new score card available – please use that from now on. The new index is registered by NGF and also loaded into PROWARE. A digital copy of your NGF card is now available in the NGF approved app Golf.nl. This app allows you to register scorecards digitally with the NGF, digitally sign cards as a marker and create a network of golf friends. The app requires registration.